An application has been filed for a four-story, four-unit building at 332-334 21st Street. 332-334 were sold for $3M. The double lot has been vacant for several years. 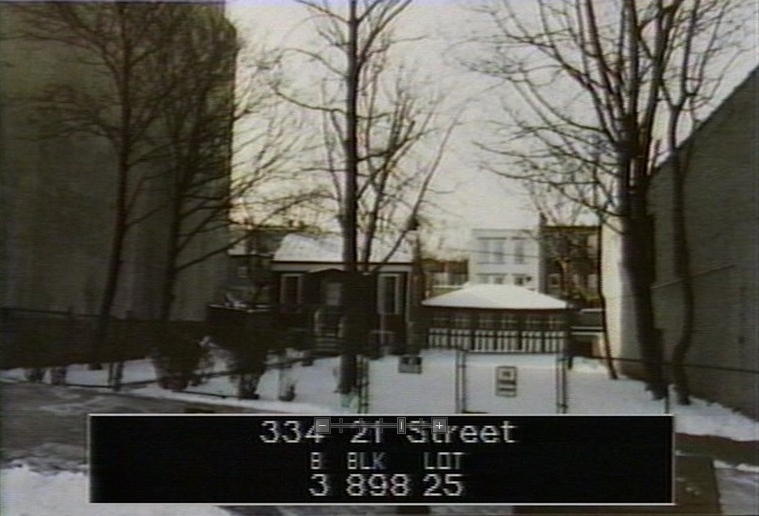 Prior to that, there was a small house to the rear of the lot at 334, and a garage/shed at the rear of 332. The rest of the space was taken up with junked cars, a boat and an ephemeral mix of trash. The house, which became damaged by fire, was occupied until 2013 when according to local accounts, an elderly woman living in the basement was evicted. A house at 334 is indicated on a map of 1880, when the block was still mostly empty lots. The Eagle gives us only wisps of information on early occupants at 332 & 334. The names of William Artz & G.C. Pabst appear at 332, and at 334 John Clark (marriage) and Thomas Mulligan (death). In 1933 the Eagle runs an ad for a 3-piece velour parlor suite, $10, (A-1 condition). 334 21st Street- call HUguenot-4-3230. At the same address, in 1947, sixteen-year old Thomas Kennedy was listed in "fair condition" at Methodist, after being "Shot in Back by Pal While Assembling Rifle." A couple of years ago, a woman on the block told me she was hoping the lot would be built on soon. It was rife with raccoons. She also spoke about the block and that ever-fluid & contentious topic - neighborhood names & boundaries. It was quieter, safer now, but local dramas were always better than TV. By far. With no prompt from me, the topic of neighborhood names came up. These days, the lady said, it was South Slope to 23rd, & Greenwood Heights to the mid 30s, but when she was growing up it was Park Slope straight to Sunset Park. Thanks. These slightly off-the-grid little houses - pockets of history - are rapidly disappearing.